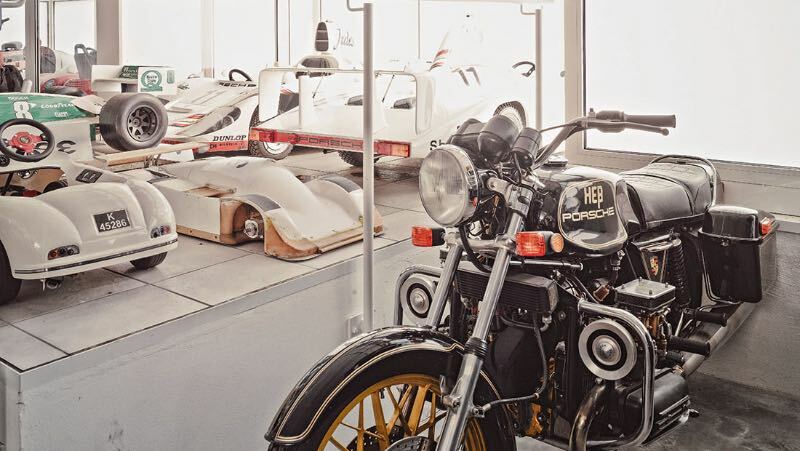 At Porsche, the “warehouse” is an unadorned industrial construction housing icons, unique specimens, covered racing cars and timber models on a zillion square meters. 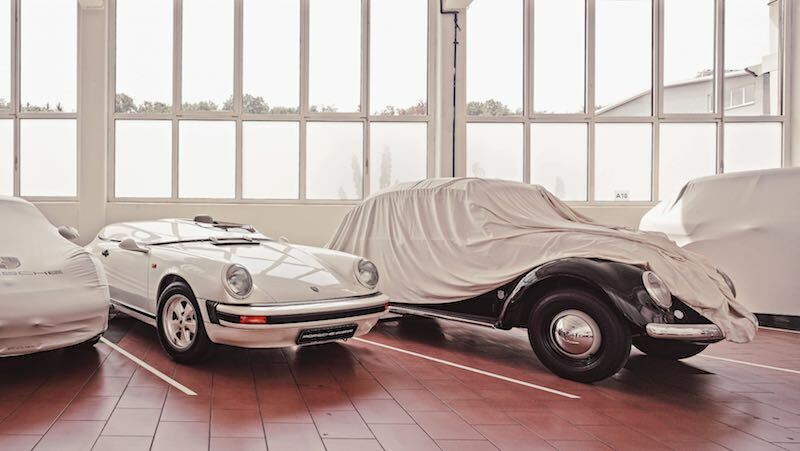 A Porsche museum with no frills, yet much charm. 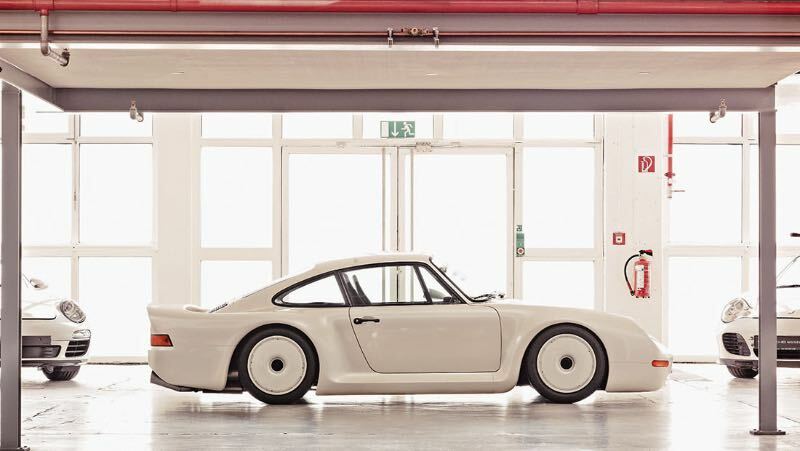 Even smart-alecky Wikipedia is unsure and offers seven options and four different spelling alternatives for the location of the warehouse with its Porsche Museum treasures. Although it is certainly not a major shortcoming if you’re not familiar with its name. 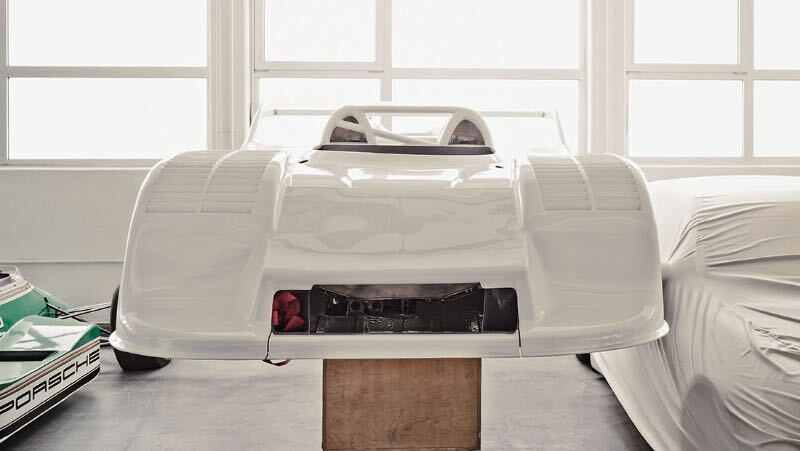 What is more, access to this kaleidoscope of Porsche’s past is restricted. Aficionados who’ve been dreaming of Porsche since their childhood days nearly pass out at the sight of several hundred Porsches. The new car department with the latest models immediately gives rise to the desire to get one. So where are the keys? Even without lifting the veils, images form before your inner eye. The light shining through the huge windows draws familiar shapes. Still in black and white, maybe. Or as a color print from old-fashioned film. Images of races where Porsche celebrated victories around the globe. 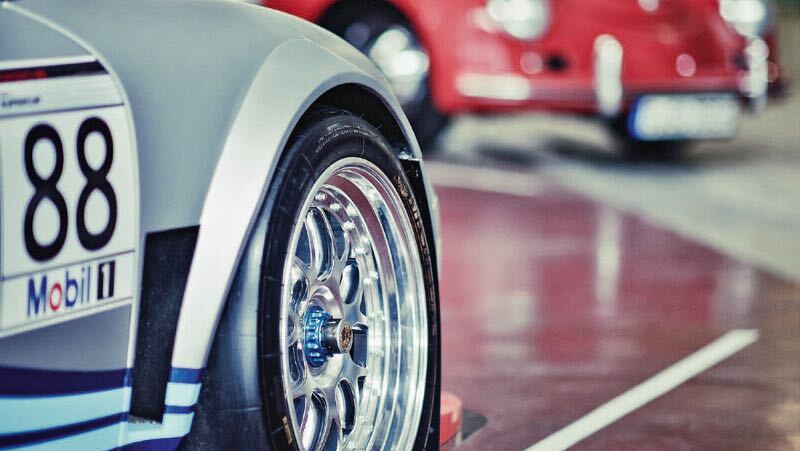 Racing beasts and rally icons, associated with names such as Mario Andretti, Jacky Ickx or Walter Röhrl. Some of them are built into shelves like matchbox cars that you’d gingerly like to take out of the box to place them onto the Slotrace track. Still bearing the original stickers of sponsors like Blaupunkt, a company that has been on the sidelines for years now. 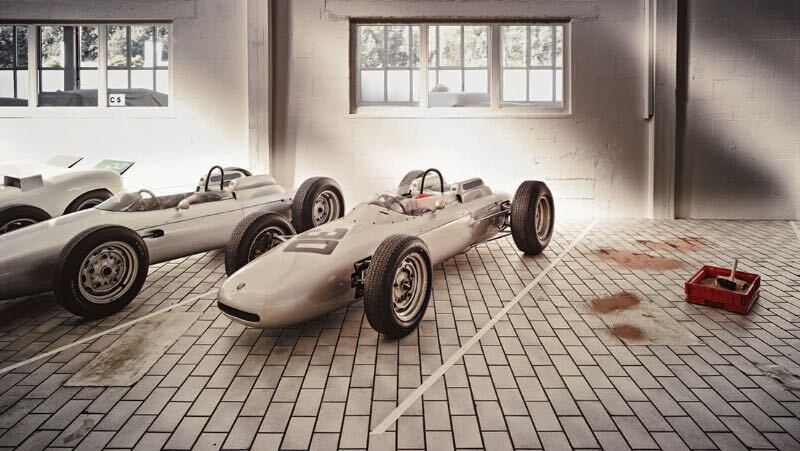 F1 vehicles or Indy racers that are only familiar to older generations or those who are very loyal to the Porsche brand and who have carefully followed the events of the last few decades. For example, the two 804s – out of a total production of three cars. 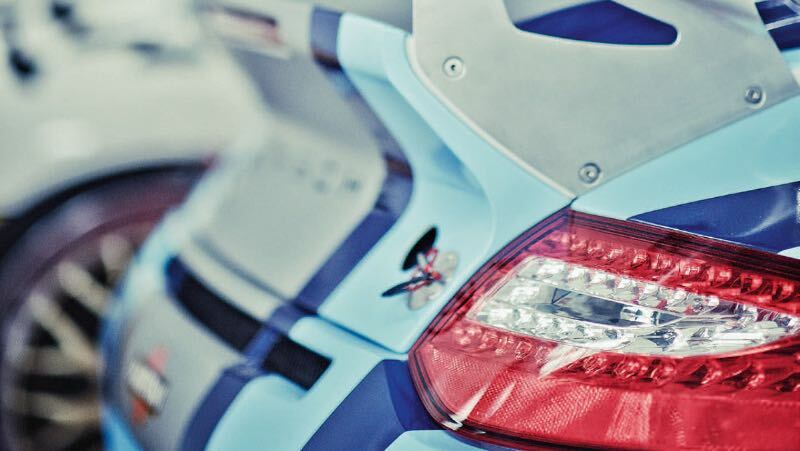 They have an 8-cylinder racing engine with a displacement of just 1.5 liters. 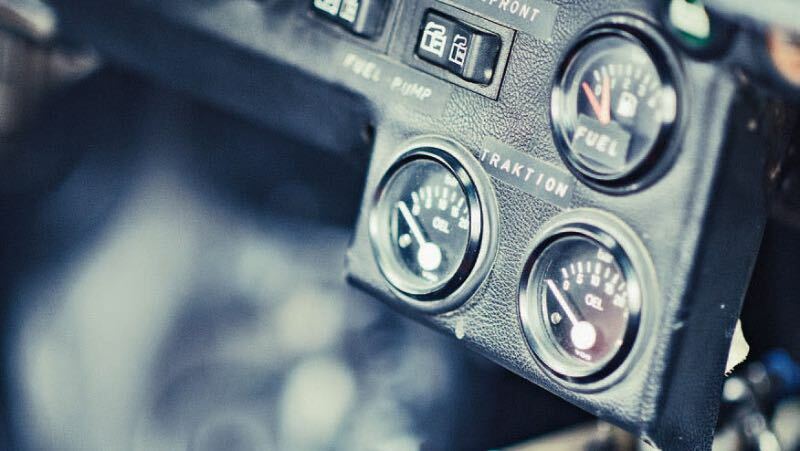 Even back then, drivers were ferocious fighters, as the trailing pointer of the rev counter indicates: They believed the racer was capable of 9,000 rpm. You can almost smell the adrenaline. The commitment, the courage and the burnt racing fuel. Right next to it is a so-called long-term test vehicle, a 944 S that covered so many kilometers in just one year that it could’ve flown to the moon: 365,000 kilometers. 1,000 kilometers every single day. Our due respect. Or, if you have an eye for these things, there’s a 917-30 with the serial number 001. It’s standing there waiting. Work in progress, so to speak. One day, it might move over to the museum, looking as if it just rolled off the line. Or it might as well be cornering on the track on wide racing tires as it did with Willi Kauhsen at the steering wheel at Nürburgring. Oh, yes, I was there at the time. But what the heck is the G-Class doing here in Kallenberg? Did it go astray in Untertürkheim? Not at all. This indestructible climber with the Rothmans stickers – yes, back then there were still cigarette ads at racing events – was the engineers’ means of transport and van during the Paris- Dakar race. Not in its original condition, however, but equipped with a Porsche 928 engine. Fully packed with spare parts for the victorious Jackie Ickx in his all-wheel Porsche. And Diesel engines, too? Yes, Porsche used to have them in the beginning but only in tractors that didn’t go much faster than a cyclist. Tractor construction was a Porsche tradition that lasted up into the 1950s. Today, collectors haggle over these tractors that they flatteringly refer to as “Red Noses“. 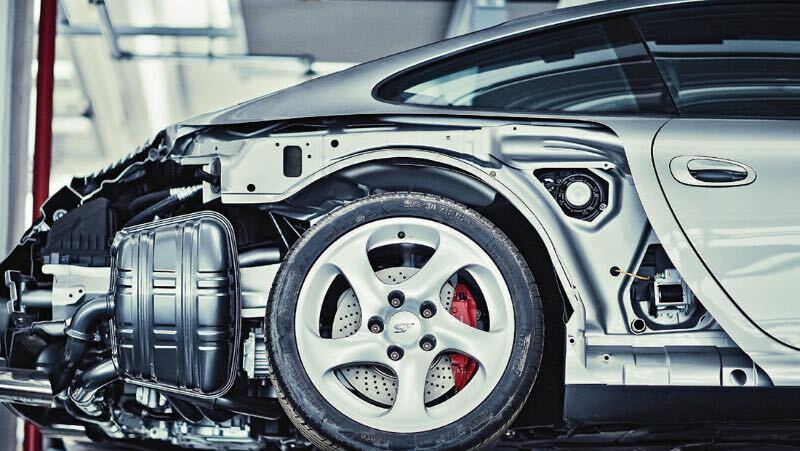 But let’s go back to the future: Porsche continues to be on a level playing field. 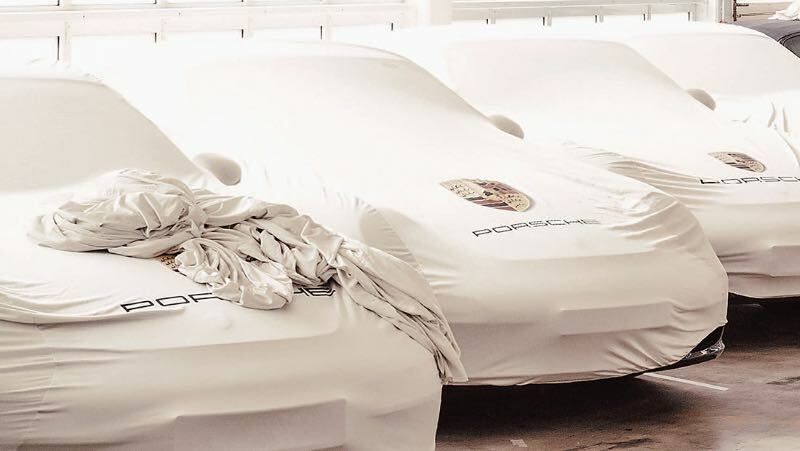 That’s why a body in white of the current 918 Spyder can be found an experimental subject used for drivetrain testing. You can tell by looking at the rear, where two exhaust pipes point towards the sky in the serial 918 Spyder: there is a Zarges box. In this early development phase of the 918, there was simply not enough space for so much electronics. So a trainee came up with the simple idea to put it in an aluminum box. Seen enough? There’s enough here to outfit another museum. Without sitting areas, signs or any of the digital fuss. Just a softly restored Porsche like the 4W racer from Paris-Dakar, which is nearly in the same condition as it was when it crossed the finish line as the winner. A vast heaven on earth for Porsche fans, who are not afraid of getting dusty fingers. Unfortunately, though, it will remain closed to the general public. And it’s hell for Wikipedia, which is well aware of virtually all type designations but cannot tell the exact location of this place where these models are kept from public view. So, let me put the covers back in place and return the “warehouse“ to its usual peace and quiet. A vast heaven on earth for Porsche fans, who are not afraid of getting dusty fingers. Unfortunately, though, it will remain closed to the general public. Thanks for the nice pics! For people who want to see more of this “secret collection” watch this video on youtube: https://www.youtube.com/watch?v=fQ7txjUPqeE&feature=youtu.be from time 44:14 a german reporter walks around in the warehouse. Sadly his comments are in German, and his microphone is turned off… But you get the picture!